This full height backrest features a high-density foam to retain its shape. Machine-washable 100% polyester cover. Elastic strap adjusts to fit any chair. Ergonomic shape helps minimize back strain and fatigue. Low-profile design for full back support. 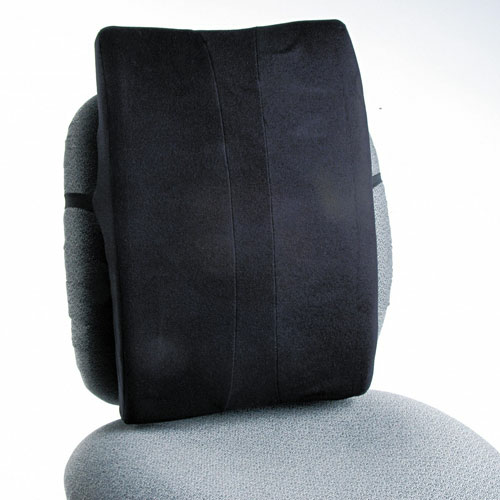 This full height backrest features a high-density foam to retain its shape. Elastic strap adjusts to fit any chair.